Where do you go when you have a still unannounced camera and some shiny big new lenses to try out? Apparently on an African safari. 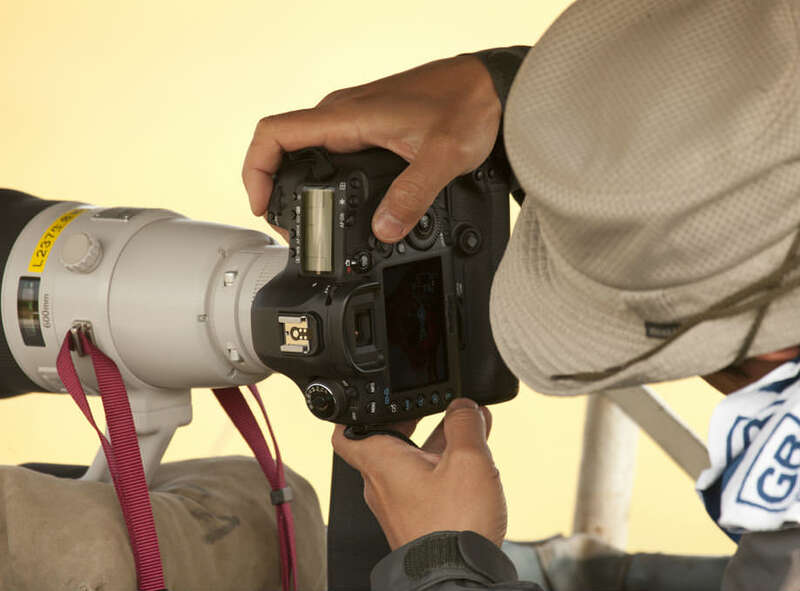 A Japanese Canon employee was spotted by photographer Stephen Oachs testing some new camera gear in Kenya Africa. Thankfully the spotter had his own DSLR with him and snapped a couple of pictures of the yet unidentified Canon camera body. 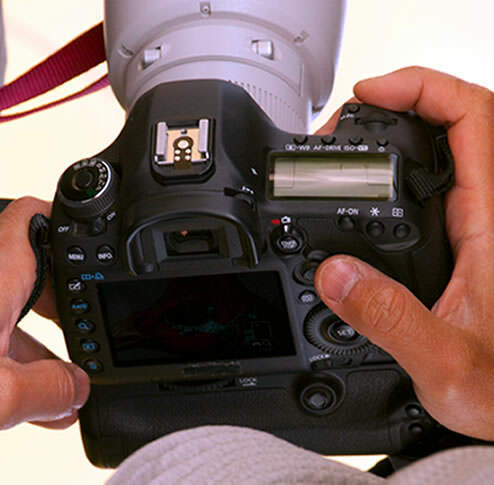 The spotted DSLR could be the new 5D Mark III or even a 7D Mark II. The captured camera has some of the looks of the 7D, with a more streamlined and modern button layout, however the lack of a pop-up flash points to the former as being more likely. Whichever camera this might be, it’s not a model that has been leaked or rumored before and it bears a number of unique features. First of all the aspect ratio of the LCD screen appears to be wider than 4:3, perhaps 16:9? There is a also thumb-stick on the battery grip and a new button arrangement we’ve never seen before.